UK Continental Shelf 31st Licensing Round. The UK’s 31st Offshore Licensing Round closed on 7th November 2018, with companies expected to find out if their bid is successful early in 2019. The round, which opened in July, focuses on frontier and underexplored regions in the UK Continental Shelf. The UK Oil and Gas Authority (OGA) is offering a total of 1,766 blocks (370,000 km2) across the West of Scotland, the East Shetland Platform, the Mid North Sea High, South West Britain and parts of the English Channel, which are covered by over 80,000 km of highquality, publicly-available seismic data generated through the 2015 and 2016 government seismic programmes. The seismic, along with supporting datasets and reports, regional geological maps and other products, were released in advance of the round and can be downloaded from the OGA Data Centre. 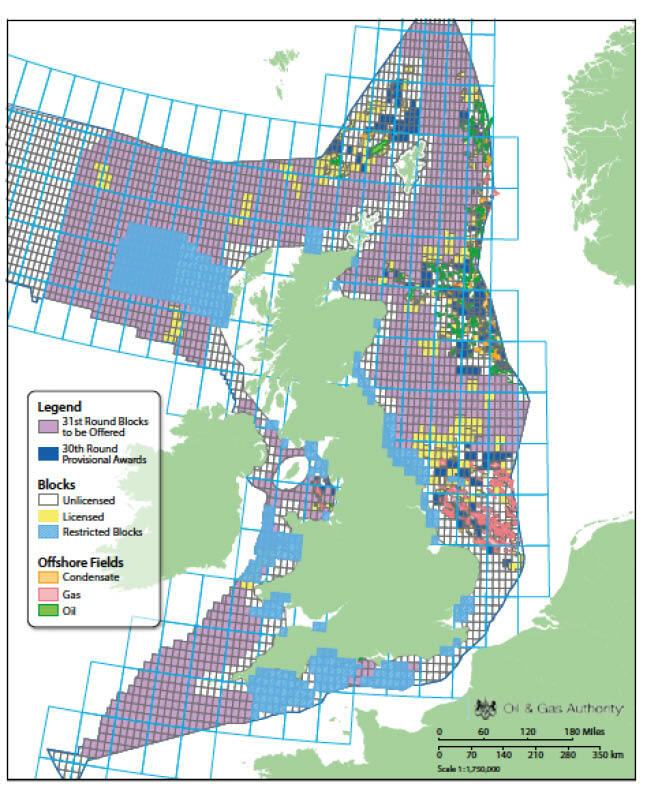 The 32nd Offshore Licensing Round is planned to open in the summer of 2019, and will focus on mature areas of the UKCS.